Compared to other nearby destinations like Phi Phi and Phuket, this island is just starting to register on the travel market Radar. 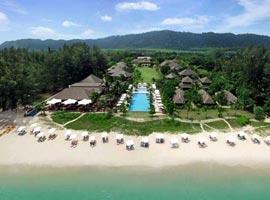 Subsequently it is well preserved and one of the most pristine islands in Thailand. Amid these stunning surroundings Koh Lanta beachfront villas offers sublime accommodation with a front row seat revealing unsurpassed exotic and idyllic qualities. The island is ideal for a families, it is romantic and original, because construction has been limited. 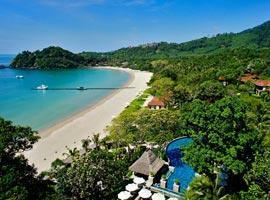 When you have flawless ribbons of sand such as this you want direct access from your hotel and enjoy sweeping views. We therefore offer a list of hotels on the beach for all accommodation requirement including villas with private pools, family accommodation and romantic resorts. While you may not find Koh Lanta a place where party animals inhabit an intense nightlife scene or with an overload of commercial activity, you will still be able to enjoy evenings in the many pubs and restaurants along Klong Dao Road, in the vicinity of Long Beach and the occasional, yet moderate party in Kantiang Bay. This is a great advantage if you prefer things authentic, enjoy hiking to waterfalls, snorkeling and kayaking or simply strolling along cotton soft ribbons of sand which are never crowded. 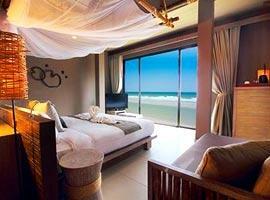 This hideaway is located on Klong Nin Beach which means you are within a 15 minute walk of restaurants and bars. Well appointed rooms with large doors opening onto private balconies keeps you in touch with the exotic outdoors. 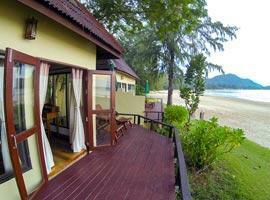 Cha-Da Resort on Klong Doa Beach offers a 2 bedroom Platinum Suite, or Emerald Suite with connecting bedrooms for families. The Gold Suite has direct pool access to a lagoon size pool and the Diamond Pool Villa is romantic for couples. Layana is an award winning resort offering beachfront accommodation in suites with expansive outdoor terraces overlooking the Andaman Ocean. 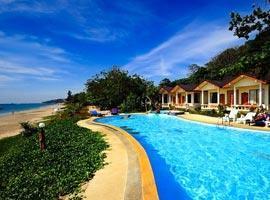 The 2 bedroom La Maison villa featuring a private outdoor pool is ideal for families. Built with a respect for nature and blending with rather than intruding on the environment facilities at Pimalai include arranging island activities, sightseeing trips and their own speed boat transfers with staff meeting you at Krabi Airport. Located in the centre of the west coast allowing spectacular sunset ocean views Rawi Warin offers romantic private pool villa accommodation right on the beach as well as the family friendly Baan Rawi Suite which has 2 bedrooms. 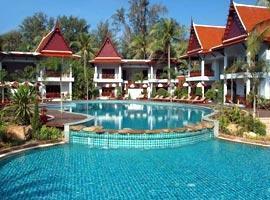 Royal Lanta offers peaceful respite from otherwise busy Klong Doa only moments away. Facilities include dining with your toes in the sand, 2 seaside pools, a full service spa and charming bungalows which are ideal for couples on honeymoon. 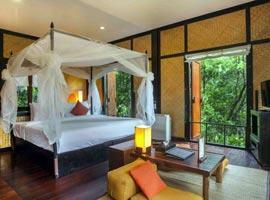 Sri Lante is a boutique resort offering charming cottages at affordable prices. Its cottages, some with private terraces are spread along a hillside surrounded by lush jungle and the beach house feature 2 bedrooms and a kitchen. Near enough to walk to entertainment, yet far enough to enjoy tranquility Twin Bay has a convenient location on north Klong Dao. 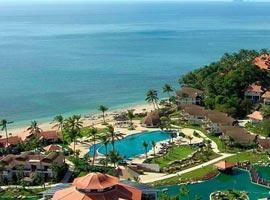 It offers beachfront bungalows with ocean views and a family room with bunk beds for the kids. Twin Lotus is located in the Klong Doa area of the island which is near restaurants and shops while back at base tranquility prevails. 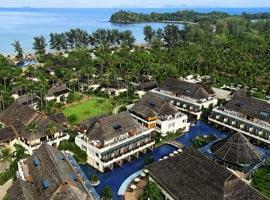 The multi award winning resort's facilities include seaside massages, a fitness centre and 2 swimming pools.